Online marketing has now become the trend in the field of business. As the internet is rapidly embraced by people as source of information, more and more business minded folks are getting the idea of making it online. Business folks who are selling their products the traditional way are now open to the great potential of using the internet as promotional media. For many ordinary surfers, they have come to the realization that they can make extra money while doing things which they love. While many individuals are simply contented on making some extra bucks online, many are getting serious about online marketing. Given the fact that they have now seen its great potential they come to a decision to make it as their primary source of income. Hence, to them it becomes serious money making online business. The internet is actually one of the most useful and efficient entrepreneurial tool nowadays. Aside from the fact that you can easily search all kinds of information you want, you can also make use of it to sell relevant and unique information which people are willing to buy. This really gives you the opportunity to make legitimate money. 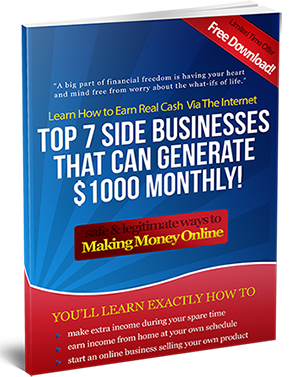 If you’re one of those contemplating to make a try on making a living online, then you should be willing to commit some time to learn at least the fundamentals of internet marketing. Well, internet marketing or online marketing is simply the process of promoting products and services on the internet. With the purpose to earn a profit, of course. Just like in the offline world, starting your online business needs some sort of “capital” such as payments for acquiring a domain name and a web host space. Of course, you can always start without having to spend a dime by using free website and blogging platforms such as Blogger.com, WordPress.com, and Weebly.com. There are, however, some great disadvantages and limitations of starting your online business using such free resources. One disadvantage would be the fact that you don’t actually own the site or blog even if you actually made the contents you put in. The site or blog that you host on free website platforms can be taken away from you anytime even for some reasons you can’t actually control. I have had sites that were deleted from so-called free website providers. You really need to abide by your free host’s terms and regulations to avoid having your business website being banned and deleted without warning. On the other hand, if you are really serious in establishing your business online you really should take it as a serious businessman as you are in the brick and mortar world. What I mean is you should at least allot a little budget for your domain and hosting. Plus you may need to buy some important marketing software that you will be needing to market your new site. After all, the cost of starting your online business is very much cheaper as compared to starting a brick and mortar business in the offline world. In the end, treating your online marketing venture as a business can take you very far. It will really make you more money down the road. And just like a normal business start up, you need to spend some time and effort to establish your online business and start making serious money.